Do you talk about what you’re grateful for? I mean more than just on Thanksgiving, when everyone goes around the table and shares that they’re thankful for their friends, family, and health. I mean on a more regular basis, and about other things as well. What would it look like if we were all to share in each other’s gratitude more often? It’s great to find things in life that bring you joy, but our joy is made complete when we share it with others. Consider how much fun it is to go to a concert or on a trip because those experiences alone are exciting and pleasurable. Then think about how much more you enjoy them when you get to share them with others— going to the concert or on the trip with loved ones and then sharing the experiences with others when you get back. Our ability to enjoy experiences alongside our people and then share our stories and excitement with those we love heightens our enjoyment of the event itself. It’s all part of the experience. For instance, my family is going to Disney World in February. Disney itself is fun, with all the rides and attractions. There is more than enough to do and hold my attention. But it wouldn’t be the same if I went by myself. Most of the reason I’m looking forward to going is because I’m looking forward to spending the time with my family and creating memories that we can share for years to come. My friend simply stated that we were going to all share three things we were grateful for that day. It sounded so easy, but it took me by surprise. 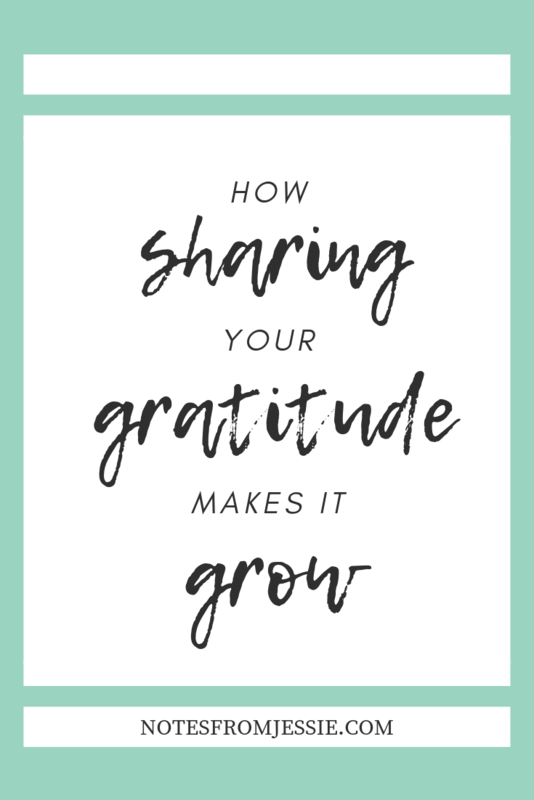 We were in the middle of a roommate reunion weekend, and she shared that this practice of listing three things she’s grateful for was something she’d been working on for a while as a regular habit she wanted to cultivate. Simply listening to her and my other roommates talk about the things they were thankful for, both big and small, was inspiring. It reminded me of all the things I wouldn’t have thought to include in my list on my own, but things I was also thankful for just the same. It opened my eyes to all the things there are to be thankful for. I love the idea of creating a daily practice of gratitude! There is such power in sharing the things we’re grateful for out loud with others because gratitude begets gratitude. It’s part of why I include a prompt every week in The Simple Joy Community to celebrate things we’re thankful for every Thursday. When we talk to our friends, both on and offline, about what we’re thankful for, we inspire them to do the same. If they’re able to add what they’re thankful for, the ripple continues to spread. If they’re in a difficult place and unable to focus on gratitude at the time (we’ve all been there), then they’re given a glimpse into the goodness that life still has to offer, even if they can’t quite see it for themselves just yet. Either way, our acts of sharing gratitude inspire others to consider the abundance of blessings in their lives and focus on the positive— and who couldn’t use more of that in their lives? Last year, I did an Attitude of Gratitude challenge for the whole month of November, going live on my Facebook page every day to talk about something I was thankful for. I also kept a list so I could visually see the abundance of blessings I’ve been given. This year, I’m going to record three things I’m thankful for each day. I’ve had a running list this year, but it’s been largely forgotten about, so I’m going to be more intentional for the month of November to meditate on what I’m thankful for. Will you join me in giving thanks every day? 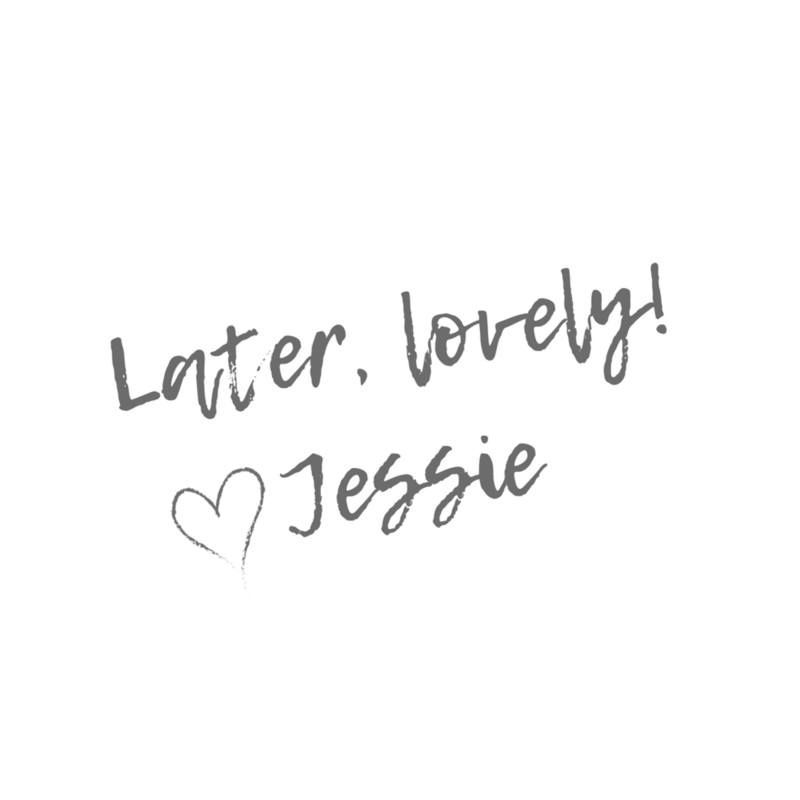 To get you started, I created a free 7-day Gratitude Journal, and you can get yours below!